If you don’t clean your room, there’s a good chance you will get some kind of infestation but what if that infestation involves barbarians? Seems pretty extreme, huh? And what do you have to do to get rid of them? 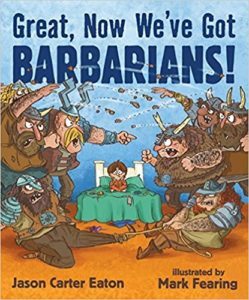 The main character in this raucously fun book is not bothered by the ants or flies or mice his sloppiness bring, but when Vlad the Barbarian shows up, it’s a different story. Vlad brings with him Törr and a bunch of other guys in horned helmets. And they eat all the cheese curls. They snore and belch and snarl, too. They use Mom’s makeup for war paint. The only answer is to take away their fun. Be careful not to cause any more havoc. Something else may show up. The expressions of the rest of the family, including the cat, are priceless, as are the details of the mess the boy and his barbarians create. Second graders may be able to read this independently, though much younger kids will get a kick out the humor. 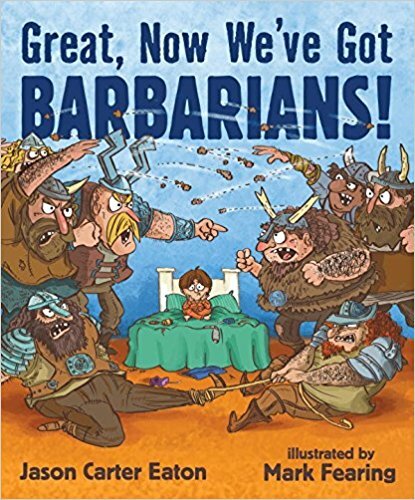 Title: The Tree: Great, Now We’ve Got Barbarians! 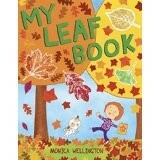 This semi-instructional picture book follows the story of a lively addition to a loving family. Sophie, the Jack Russell terrier, was adopted from a shelter by the narrator’s family. She made friends with some family members and readily accepted her new toys and collar. It took a little longer for her to warm to Dad, but food was a powerful incentive. She learned several commands and made some doggie friends. She enjoyed playing and also getting into trouble. Sophie was a dog to be proud of. 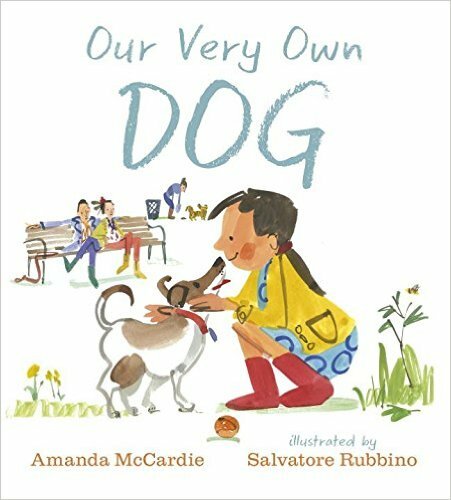 Rubbino’s detailed illustrations show exactly how to treat and train your dog. They are often humorous, with everyone getting a belly rub or Sophie trying to figure out why the daughter is in the bathtub. Along with the heartwarming story, numerous sidebars give tips on caring for a new dog. That makes this the perfect read aloud so kids and adults can discuss the reasons for advice such as “Most dogs like to be petted by their owners, but many don’t like to be touched by strangers. Always ask the owner before you touch a dog.” Kids may want to keep referring back to the text as their own dog settles in. 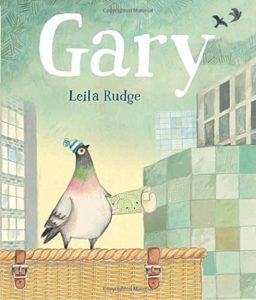 Gary is a pigeon. A racing pigeon who doesn’t fly. When the other pigeons go out to race, he sits at home and waits for the others to return. And dreams of all the places he could have gone. He has a scrapbook of their mementos and stories. Accidentally, he goes out with the flock one day. Since he can’t fly, he’s left to figure out how to return home by other means. When he steps off the bus and tells the others of his adventures, they see the wisdom of solution and start using alternate transportation themselves. The beautiful and detailed illustrations complement the story perfectly. Gary has things in his scrapbook that help him find his way in the world: what appears to be a subway map, a street map, drawings of various modes of transportation so he can recognize them. The pigeons wear jerseys. A few wear backwards baseball cap or stocking caps. 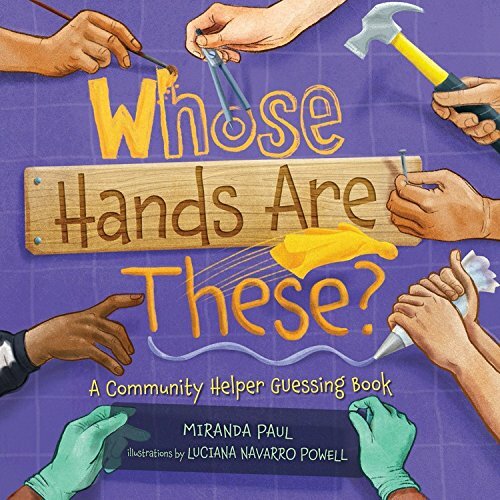 As a read aloud or independent reading for second graders, this book offers a jumping off place for learning about venturing out into the world. Kids will have fun spotting all the details in the illustrations and figuring out how Gary gets home. Heartwarming and funny at the same time. Sometimes, all you need is a calming presence. Madeline hates to read. She especially hates to read out loud in her class. She gets “Keep Trying” stickers, but she really wants a gold star. 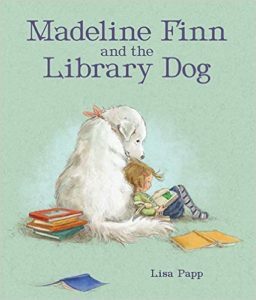 When she visits the library and talks to her favorite librarian, Madeline mentions her reluctance to read. The librarian suggests reading to one of the visiting dogs. Bonnie, the dog, is a patient listener and never giggles at her mistakes. Madeline becomes very attached to Bonnie and is very concerned when Bonnie fails to show up once. 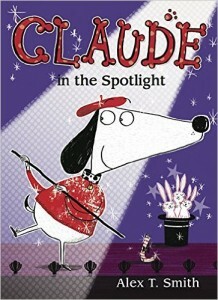 But, by that time, Madeline has enough confidence to read well in class and get her star. Madeline feels she must share her star with Bonnie – and her new puppies. 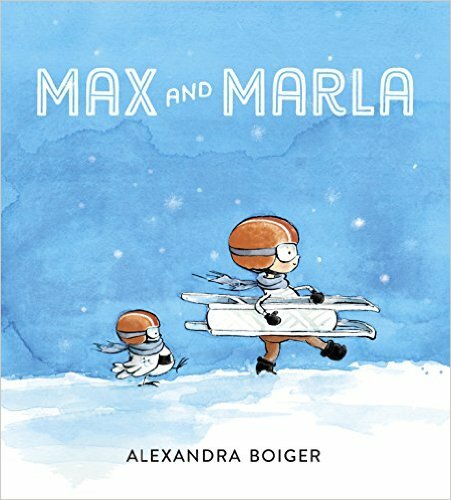 Beautiful and detailed illustrations accompany this heartwarming story about fears and how we can overcome them. The room with all the different dogs and kids with books is especially cute. 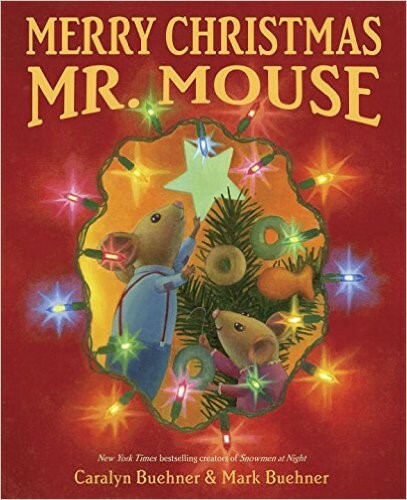 This makes a wonderful read aloud for first graders and a comforting independent read for second grade and up. Either way, a discussion in the difficulties of learning to read – or anything challenging – would also be in order. 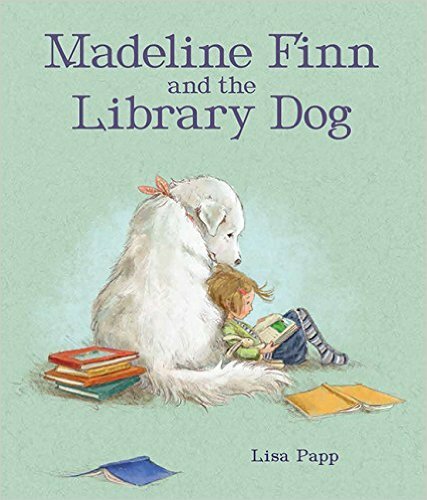 Reading activities may include investigating libraries and caring for dogs. In the best traditions of The House that Jack Built and I Met a Lady Who Swallowed a Fly, this cute and funny tale considers what could happen if the tracks two kids find belong to a dinosaur. With each clue Joe and Sally find, they add details about what the dinosaur is up to. An empty cat food bowl suggests a hungry dinosaur. Deep tracks suggest a hungry, heavy dinosaur. Tracks across the swimming pool must mean a hungry, heavy, swimming dinosaur. By the time they find the dinosaur, it has become a hungry, heavy, swimming, dancing dinosaur with a headache and a sore foot and wings. 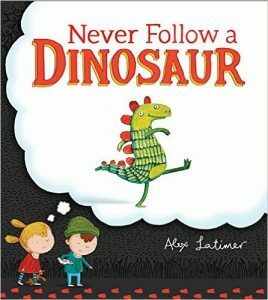 They plan a dinosaur trap, but the reader knows that won’t work. Anyway, the one thing the kids don’t discern from the clues is that it’s also a friendly dinosaur who needs help to bake cakes. Latimer’s colorful illustrations make the story even more amusing. Willoughby, the cat, follows them on every page. Each child hangs onto a favorite toy throughout. Second graders can read much of this book independently, but it’s a very entertaining read aloud and would be great with a whole classroom of even younger kids.